The leaders of Turkey and the U.S. on Thursday discussed bilateral cooperation and regional security at a meeting following a dinner to kick off a global nuclear summit, the White House said. The White House meeting on the margins of the two-day Nuclear Security Summit also addressed counterterrorism and migration. 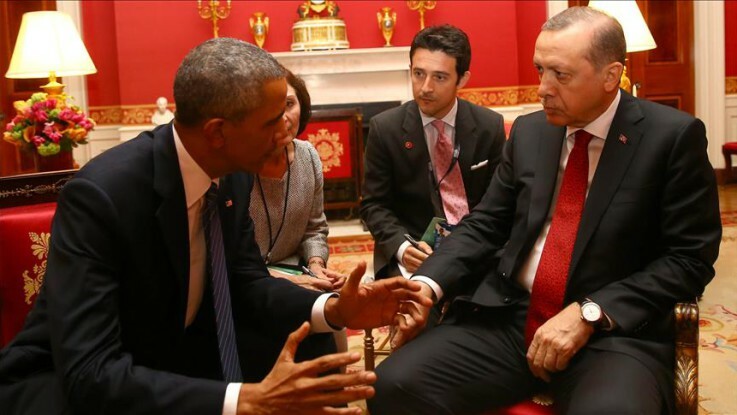 Erdogan and Obama also discussed how to advance shared efforts to eliminate the Daesh militant group during the 50-minute talk. The Turkish president on Friday is expected to hold separate bilateral meetings with other world leaders, his office said.